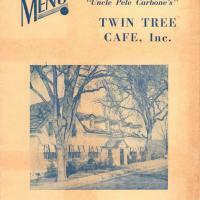 An advertisement card dated November 1931. 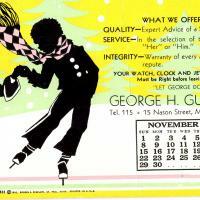 George H. Gutteridge's store offers gifts and watch, clock, and jewelry repair. The store is located at 15 Nason Street, Maynard, Mass. The telephone number is 115. 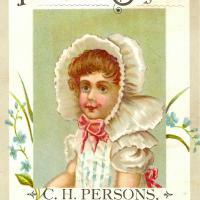 C. H. Persons was a dealer in pianos and organs, small instruments, and other musical merchandise. His store was located in the Riverside Block, Maynard. A business card advertising Deek's Antiques, 39 Nason Street, Maynard, MA. 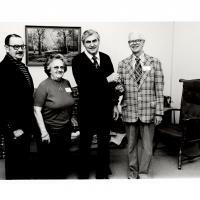 Henry Deeks was both a dealer in antiques and a historian. 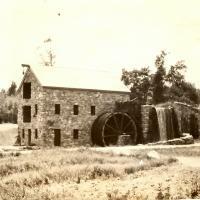 A photo of the Grist Mill at the Wayside Inn in Sudbury, MA. 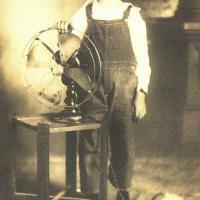 This was built by Henry Ford of Detroit, MI. 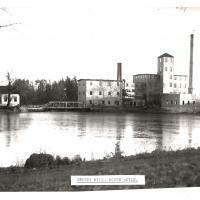 This black and white photo of Shoddy Mill, South Acton, was taken from the Gutteridge History and is dated 1922. Maynard Town Report excerpt of the recorded births in Maynard from 1970 to 1979. Maynard Town Report excerpt of the recorded births in Maynard from 1960 to 1969. Maynard Town Report excerpt of the recorded births in Maynard from 1950 to 1959. Maynard Town Report excerpt of the recorded births in Maynard from 1940 to 1949. Maynard Town Report excerpt of the recorded births in Maynard from 1930 to 1939. Maynard Town Report excerpt of the recorded births in Maynard from 1920 to 1929. Maynard Town Report excerpt of the recorded births in Maynard from 1910 to 1919. Maynard Town Report excerpt of the recorded births in Maynard from 1900 to 1909. Maynard Town Report excerpt of the recorded births in Maynard from 1890 to 1899. Maynard Town Report excerpt of the recorded births in Maynard from 1884 to 1889. A celebration for Jerry on Oct. 13, 1957 at the restaurant. 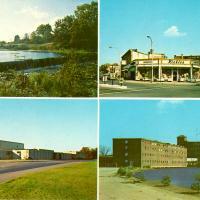 A postcard depicting four views of Maynard, MA. The local views include Mill Pond, Ben Smith Dam, Maynard High School, and the Business District. 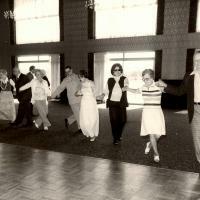 A series of eleven black and white photos of a trip to the Danversport Yacht Club taken with the Maynard Senior Citizens Club.